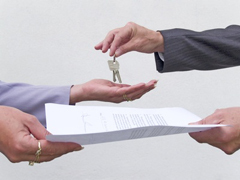 Most associations have provided transfer disclosures/documents to an escrow at some point when an owner is selling his or her unit/home or property in a community association to a prospective purchaser. This task is usually completed by the association’s managing agent. Sections 4528 and 4530 of the Civil Code govern the requirements for complying with an Association’s escrow disclosure requirements. AB 2430, which amends Civil Code Sections 4528 and 4530 and is effective as of January 1, 2015, now provides some helpful points of clarification and one major affirmation of California case law. First, AB 2430 now provides that it is the responsibility of a seller to compensate the association, person, or entity that provides the required documents to the prospective purchaser. This is the first time the Davis-Stirling Act has expressly made clear that the fees charged by an entity other than the association (e.g., management companies) are the responsibility of the seller. This change now makes the Civil Code on par with California case law. See our previous article to learn about the California cases which paved the way for this new legislation. The revised law changes the statutory disclosure form (Civil Code Section 4528) which must now itemize and separately state the cost for providing each document to a selling owner or a recipient authorized by the owner. AB 2430 also clarifies that the written estimate of fees for providing the requested documents must be sent prior to processing the request. Associations will also be prohibited from bundling documents not required by Section 4530 with the documents that are required under the statute. The new law also requires that the fees for any statutorily required documents be distinguished from, separately stated, and separately billed from all other fees, fines, or assessments billed as part of the transfer or sales transaction. These changes to the Civil Code may seem innocuous; however, if an association and its managing agent are not on the same page when it comes to disclosure procedures, the association could be liable for all actual damages, all attorneys’ fees incurred by an owner, and a civil penalty for noncompliance. Board members and managers need to have a discussion now regarding the association’s compliance with the new law. Have questions regarding transfer disclosures? Follow this link to our Annual Disclosure Checklist, which includes a checklist for transfer disclosures beginning on page 10.